Nothing gives the Nerdvark worst gastrointestinal pain than seeing the words "a lot" joined together to form one non-word, "alot." 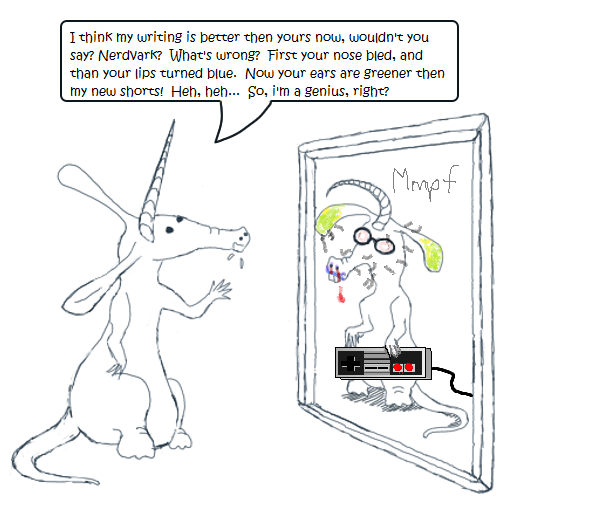 When Nardvark hands over his writing with pride, the Nerdvark's guts get all twisted. Once he is able to speak, he says, "'Alot' is not a word. 'A' is a word, and 'lot' is a word, but together they are not a word." 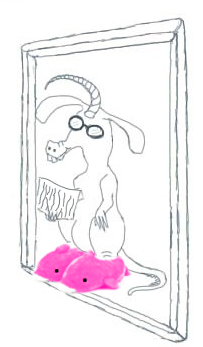 Then Nardvark, who has just never had a mind for languages, says, "Huh?" To which the Nerdvark always replies, "Look, you wouldn't write 'apizza' or 'aunicorn' or 'asprinkling', so what's with 'alot'?" Nardvark is bombarding him with alots. For more on this grievous word-crunching error, meet the Alot Monster here. 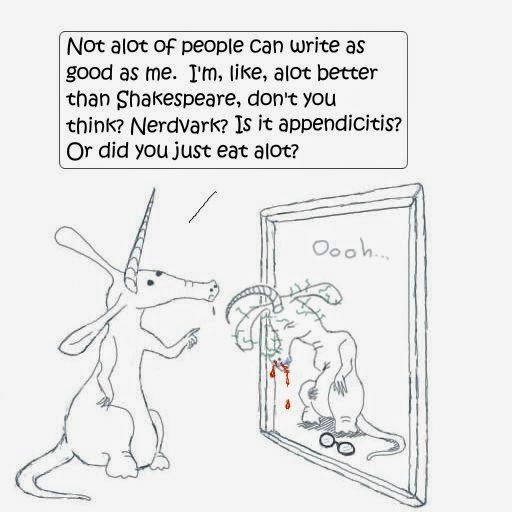 If you still don't get it, read all about bad spelling from The Nerdvark's personal god, The Oatmeal.